Much like last time, I went for 2 dishes, which surprised the friendly server. He looked at me like I was nuts. 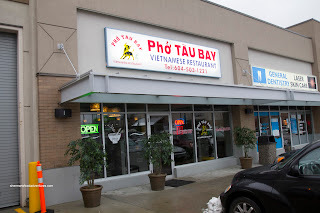 Well, I guess he had good reason since the Pho Dac Biet was a healthy portion. It had a good amount of noodles and tender slices of meat. I found the broth to be much lighter on the MSG this time around, yet still exhibiting some meatiness. Unlike many other lighter versions, I could really taste the star anise and cloves. 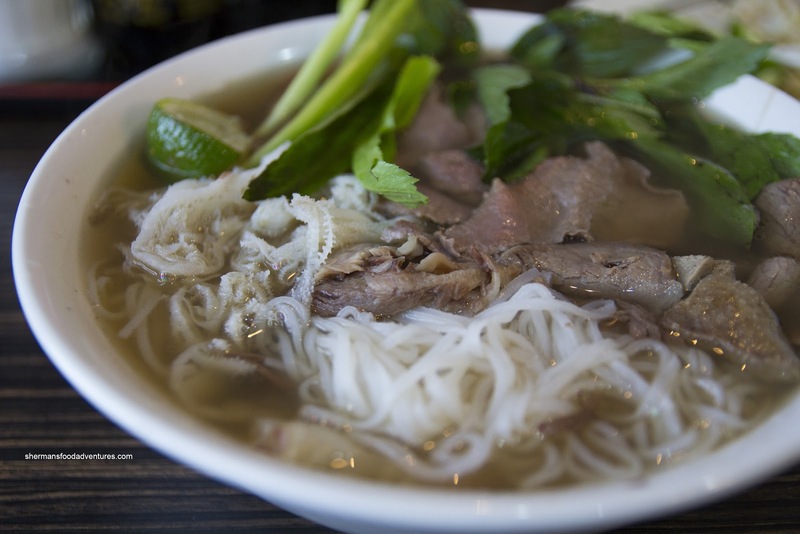 An all-around solid bowl of Pho in my books. I particularly liked the addition of saw leaf herb atop the usual sprouts and basil. 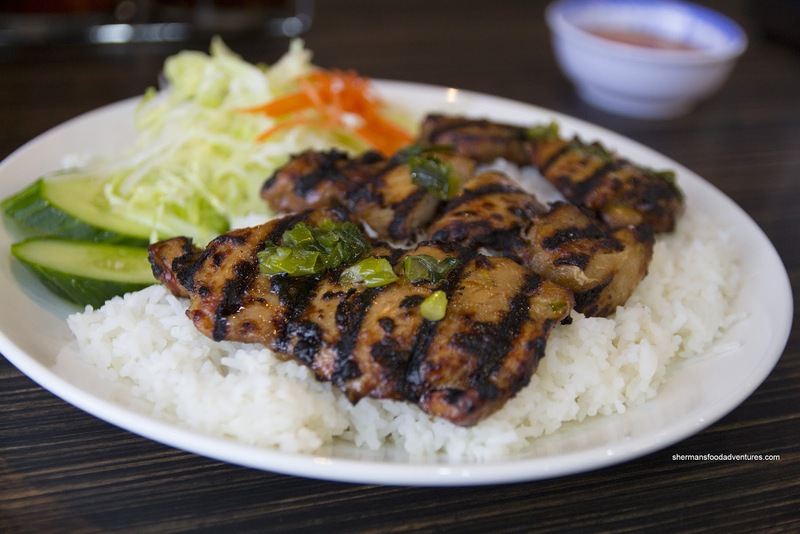 The Grilled Chicken on Rice was even larger which ultimately led to leftovers. The three moist pieces of grilled chicken were charred nicely which was both aesthetically-pleasing and tasting. I really got the smokiness of the char while the chicken was seasoned just enough. The broken rice was firm while still soft. This was a pleasing end to a meal that was both inexpensive AND served in a clean and modern environment. Makes me wonder how Pho on Chopsticks can charge almost double for essentially the same thing (with both places being similar and somewhat closeby). They've sure got a few locations now. 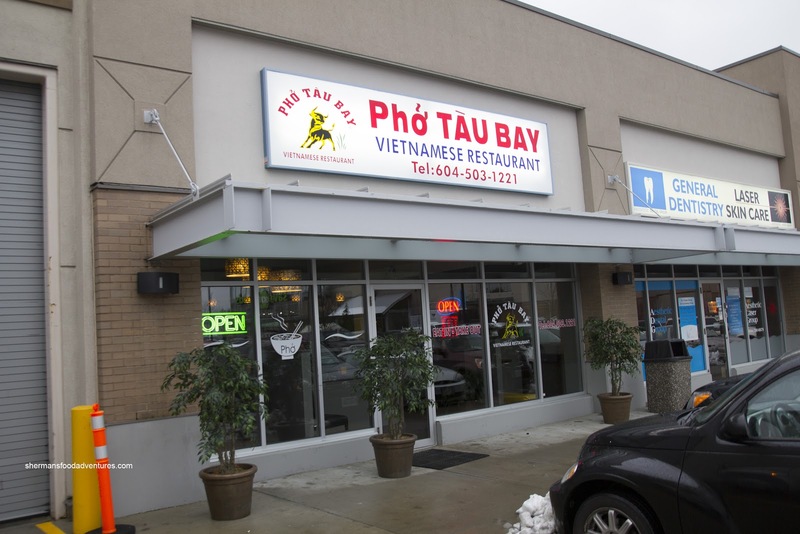 I was driving through maple ridge and I saw a Pho Tau Bay there too!